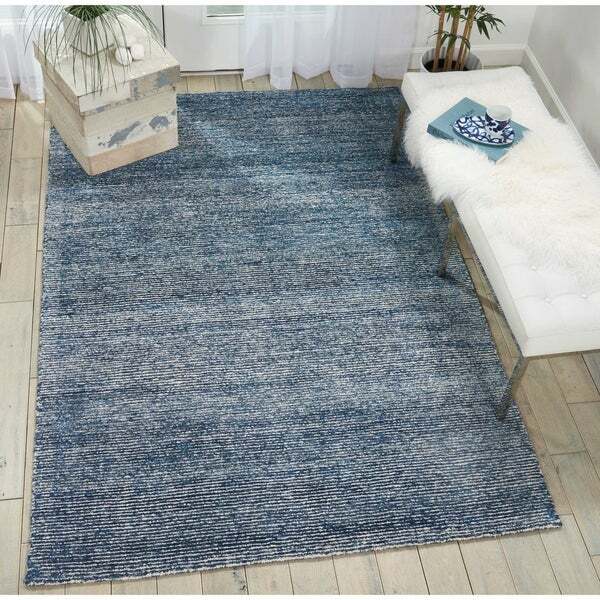 Nourison Weston Distressed Aegean Blue Handwoven Jute Area Rug - 8' x 10'6"
Nourison Weston Distressed Seafoam Blue Area Rug - 8' x 10'6"
Nourison Weston Aquamarine Solid Area Rug - 8' x 10'6"
Thick, soft, and luxurious, the Weston Collection brings you an irresistible combination of pleasure and practicality in a modern area rug. Hand-woven in a blend of jute and bamboo-extruded silk-like fiber, these area rugs are richly colorful, stylish and designed for effortless chic. As sparkling as the sea from which it takes its name, this Weston Collection area rug is a classic beauty in blue and white. The custom touch of hand weaving gives it added textural appeal.